Your home should be your sanctuary. Ideally, your office should feel like your home away from home. Your land should be your oasis. . . . .but . . . .
Do you feel uncomfortable in your own home, office, real estate property or on a parcel of land? Do you find yourself dreading going home and feeling better when you leave? Do you sense intrusive energies or entities interfering with your health, relationships, and quality of life? Are there stagnant or lingering energies that make you feel sick, depressed, anxious or stuck? Do you feel like you are undergoing psychic attack or are you having difficulty selling your house? What do you do when you feel like something about the place just doesn't feel right or maybe even unsafe, but you just don't know why? Perhaps your home, office or land needs a healing. Just like people, your home, office or parcel of land has energy and consciousness that can affect you. If your land or a dwelling has experienced trauma, an imprint can be left behind that causes certain wounding events, circumstances, and relationships to skip and repeat. If not cleared, this cycle can continue endlessly and may result in illness or unexplained accidents. In some cases, suffering or intrusive beings may be stuck on your property and need assistance in crossing to the next dimension for their continual growth, healing and evolution. Sometimes the land itself needs a soul retrieval. 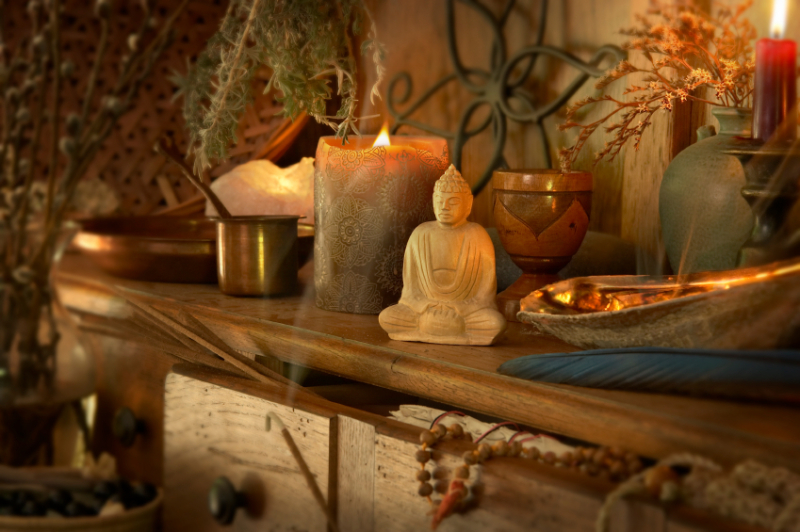 House blessings and clearings are ceremonies where I enter your home, office or property, assess what needs to be cleared physically and energetically, as well as what needs to be restored. After the assessment, I will set up an altar in the heart of your dwelling or land, call in all of my helping spirits, allies, angels and ancestors and start the cleansing process. I will end with the healing and blessing. For large parcels of land, I can do a despacho bundle that will be buried on the property for continual healing that unfolds over time. For more information and prices please contact me.